Dreamworks Animation's Megamind, starring Will Ferrell and Brad Pitt, nabbed the top spot for the second weekend in a row, besting Tony Scott's runaway train movie, Unstoppable, starring Denzel Washington and Chris Pine. Estimates show that while Unstoppable was ahead on Friday, Megamind took control over the more family-friendly weekend, winning #1 with $30 million. Unstoppable finished a rather distant second with $23.5 million while Due Date slipped to third, earning only $15.5 million, proving what we all knew, that it's simply not another Hangover. Limping into fourth place was Universal's Skyline, an epic alien invasion movie reportedly produced for a mere $10 million. A smart move for the Strause Bros.; producing a movie so cheaply also means that you can turn a profit even with a crappy $11.7 million opening in 2,888 theaters. The producers of Morning Glory might want to take a lesson from Skyline. The Rachel McAdams comedy cost a reported $40 million to make, most of which probably went to Harrison Ford's bank account. Earning only $9.6 million its opening weekend, it's going to be hard to make its money back theatrically. Megamind: No matter what happened, I wa always the last chosen, the odd one out, the black sheep... the bad boy. Was this my destiny?... Wait. Maybe it WAS! Being bad is the one thing I'm good at! Then it hit me: if I was the bad boy, then I was going to be the baddest boy of them ALL! Megamind: I was destined to be a supervillain, and we were destined to be rivals! The die was cast! And so began an epic enduring lifelong career... and I LOVED IT! Minion: [checking the can] It's out! 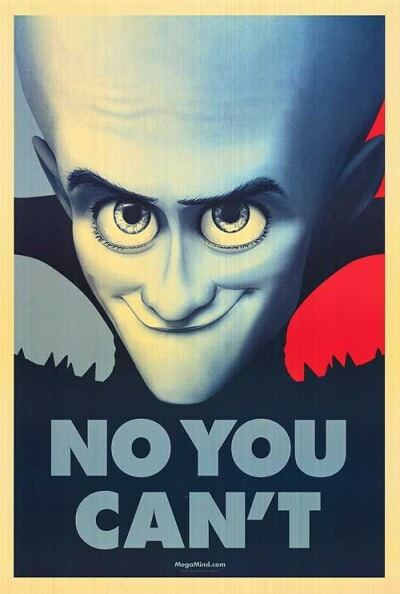 Megamind: Well, use the forget-me stick!